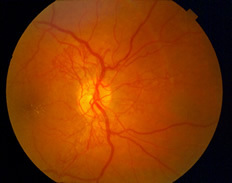 Treatment for early stages of diabetic retinopathy and other conditions usually focuses on maintaining levels of blood sugar, blood pressure and blood cholesterol, in order to prevent any permanent damage from occurring. For more advanced stages of the condition, laser surgery is often effective in shrinking the abnormal blood vessels through over 1,000 laser burns in the area of the retina. This procedure, known as scatter laser treatment, usually requires two or more sessions in order to fully remove the blood vessels. Macular edema can also be treated through a laser procedure, called focal laser treatment, which places hundreds of laser burns in the area of retinal leakage to reduce the amount of fluid in the retina. This treatment only requires one treatment. Laser treatments can be performed in your doctor’s office and are performed with anesthetic eye drops to minimize pain during the procedure. Patients may experience blurry vision for the rest of the day, and should rest at home. It is important for patients to realize that these procedures cannot cure diabetic eye conditions, but rather help reduce vision loss for patients with advanced cases of the condition. 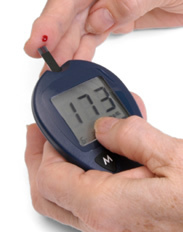 For more information on Diabetic Eye Diseases, call us at 336-294-8258.